Women gold miners in Burkina Faso. Photo by Ollivier Girard for Center for International Forestry Research (CIFOR), via Flickr. Creative Commons. Africa’s artisanal mining sector—mining characterized by the use of rudimentary tools and labor-intensive techniques to extract minerals from the ground—is distinguished by its huge female workforce. In Africa, women make up an average of 40 to 50 percent of the artisanal mining workforce, compared to the world average of 30 percent. In the Democratic Republic of Congo (DRC), for instance, 50 percent of the artisanal mining workforce is female, similar to the percentage of illegal women artisanal miners in Ghana. 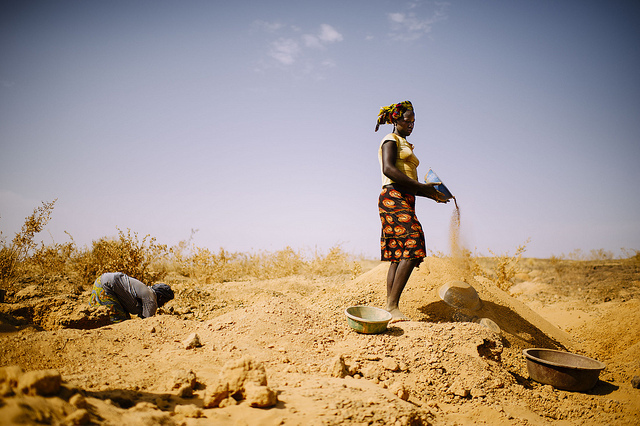 In Sudan’s Southern Blue Nile region, it is estimated that 35 percent of artisanal gold miners are women, and in Mali and Burkina Faso, 50 percent of artisanal miners are women, with women in particular responsible for 90 percent of mineral processing. 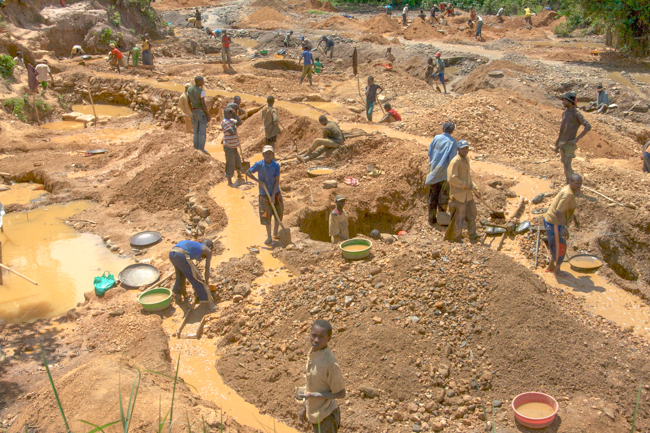 Child Labor in African Mines: Where Are We Now? Miners in the Democratic Republic of Congo, some as young as 11. Photo by Enough Project via Flickr. Creative Commons. Mining is one of the most hazardous forms of child labor. It is physically dangerous and strenuous, exposes children to unstable underground heavy equipment and structures, toxic and explosive chemicals, and heat. The dangers to health and safety make it unfit for children under any circumstances. Precious minerals such as gold and diamonds top the list of minerals mined by about one million children in Africa between the ages of 5 and 17 for less than $2 per day. In cases where they are not paid, children receive only food as payment for a day’s work. 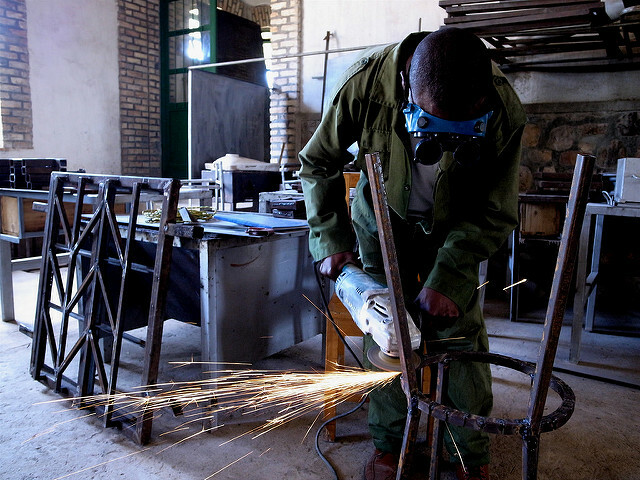 Peacebuilding in Africa: What Comes After? Peace and reconstruction programs must go far beyond just ending conflict and focus on reincorporating all members of society. Photo by AU-UN IST PHOTO / STUART PRICE, via Flickr. Public Domain. Sustainable peace eludes many African countries. Most post-conflict societies in Africa continue to be dominated by the aftermath of war, including weak health, educational, and infrastructural systems; growing slums; power and identity issues; corruption; and a legacy of violent tendencies which often do not easily fade away. When the root causes of conflict—largely land disputes, inequalities, the quest for power, and ownership of natural resources—are not thoroughly dealt with, violence can reoccur even after peace has been restored. 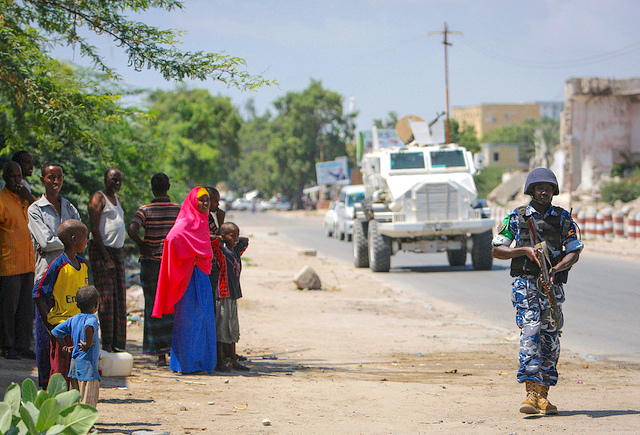 At the core of many of these issues is a lack of inclusivity in peacebuilding efforts. While recognizing the numerous reconstruction programs, there is limited evidence of reconstruction programs that continue to support the reintegration of all members of society to cope with the difficult and long-term process of transformation even after peace is restored. It is therefore imperative that in promoting sustainable peace, the physical, social, economic, and psychological wellbeing of all members of society are catered for. But how do we ensure that all members of society—men, women, and youth—are well supported for successful reintegration into society and adaptation to the change in the status quo in the ‘next phase’ after peacebuilding? What happens to these groups after peacebuilding, and how can post-peacebuilding challenges be addressed to prevent fueling tensions and conflicts?